Minister of Public Works and People’s Housing Basuki Hadimuljono said the Trans Papua Road planned for 4,000 kilometers was not rejected by the Papuan people at any point. “There is no rejection from all, there is no a single point that has been rejected by the public,” Basuki said. 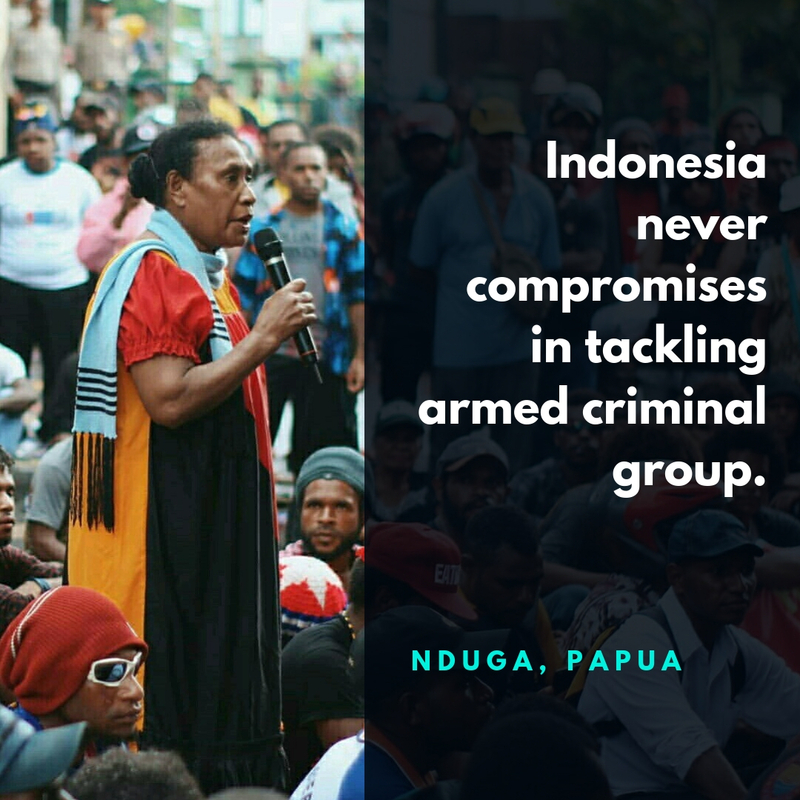 Basuki said this in relation with the attack on the Trans Papua road project workers by the Armed Criminal Group (KKB) from PT Istaka Karya which left dozens dead. “This incident was only in Wamena, Habema, Kenya, Mamubu, 278 km. While the rest is 3500 km and it must be noted that there is no rejection,” said Basuki. For the incident, the construction of the Trans Papua road project was stopped. However, Basuki said that the work will begin again in January 2019 with a better level of security. “Starting again in January, this is because there happened to be Christmas and so on, while waiting for the conditions there but Mr. Police Deputy Chief told me that [he] could guarantee security in the Vice President’s office by adding personnel at all points. God willing, we will begin implementation in early January,” he said. At present, Basuki added, in that area it is only a matter of working on infrastructure connections, namely bridges, because the road has already been completed. “That is because the road is already connected, now only need to install 35 bridges, will be coordinated with the relevant parties,” said he again. The Trans Papua road workers on December 2, a day after the December 1 Free Papua Movement (OPM) anniversary celebration, were attacked by KKB allegedly members of the OPM. The incident caused a total of 25 victims, consisting of 24 employees of PT Istaka Karya and one employee from Public Works Ministry, where 17 of them were found dead, 4 survived and 4 others are still in search.